Rapid pollution of surface and underground waters by industries all over the world has created a new concern for environmentalists and scientists. The ultimate solution is purifying polluted water using any of the known physical or chemical methods. 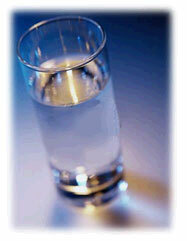 Often a combination of two or more methods is required to produce a pure or drinkable water. Although laboratory glassware or stainless steel apparatus is usually used for distillation, it is possible to use other material and even disposable material such as empty bottles and soda cans to perform an emergency or experimental distillation process. In this project you will pollute some water by adding color and dirt. You will then construct a distillation apparatus and use it to purify the polluted water. Will your distilled water be colorless? Will your distilled water be free of odors? Will it be free of salts?